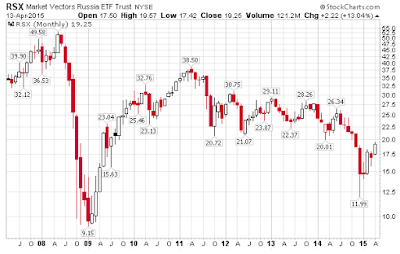 Mish's Global Economic Trend Analysis: Readers ask "How Does One Invest in Russia?" Readers ask "How Does One Invest in Russia?" In Russia Forced to Do Right Thing? 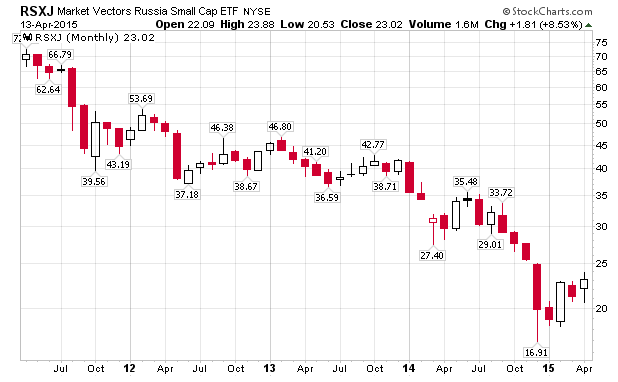 Buy Russia? 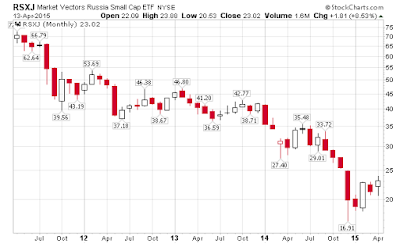 I explained why I bought into Russian equities. In response, I received numerous emails asking me how. This is not a recommendation. Please do your own due diligence. If anything, I tend to be early. One easy way is via ETFs. I have three. This does not constitute advice, I am merely saying what I did. The trailing PEs of RSX and RSXJ are favorable. I do not know what the future holds. Financial information is from Yahoo Finance, as linked to above. TRF has been in existence much longer than the others. RSX has been in existence longer than RSXJ. This explains why the time frames for each chart are different.